Hadden Hill Golf Club extends a warm welcome to visitors. The golf facility at Hadden Hill provides the perfect mix of opportunities to play varying formats of the game. 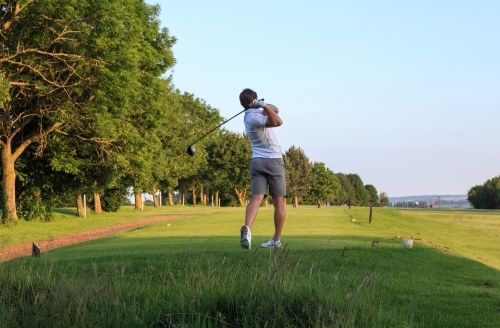 Our 9 hole green fee is one of our most popular with many people opting to play a shorter format of the game. Each 9 presents a different mix of challenges for all levels of golfer, as you will be able to see from our Course Tour. The tables on this page provide full details on the green fees and opening hours, if you have any questions or queries regarding Hadden Hill Golf Club, please call our professional shop on 01235 510410. Visitors on low income are entitled to a discounted green fee of £10 per round available 7 days a week up to a maximum of 52 rounds per year. Please contact our membership secretary Andrew Dart on 01235 510410 or [email protected]. We currently have special offers on green fees available through our online booking system for as little as £14 per round*! All visitors are asked to sign in at the Pro-Shop on arrival. Payments. We accept cash and credit/debit cards as payment for green fees. Booking. Please book in advance to avoid disappointment.